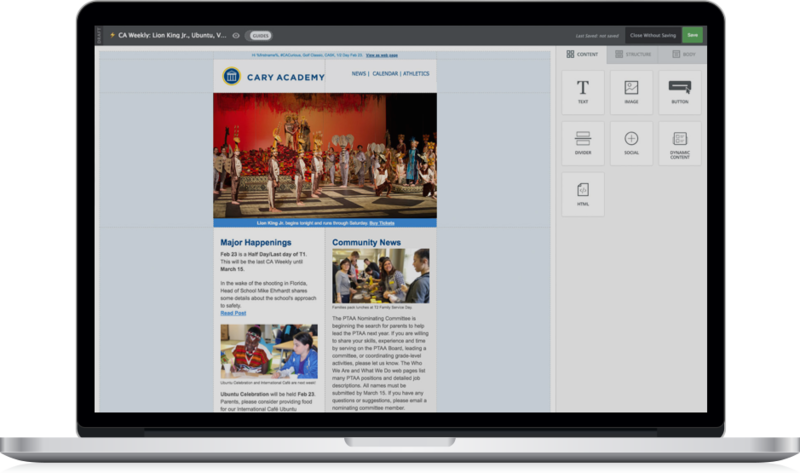 Empower your school with modern tools for marketing, admissions, online learning and so much more. 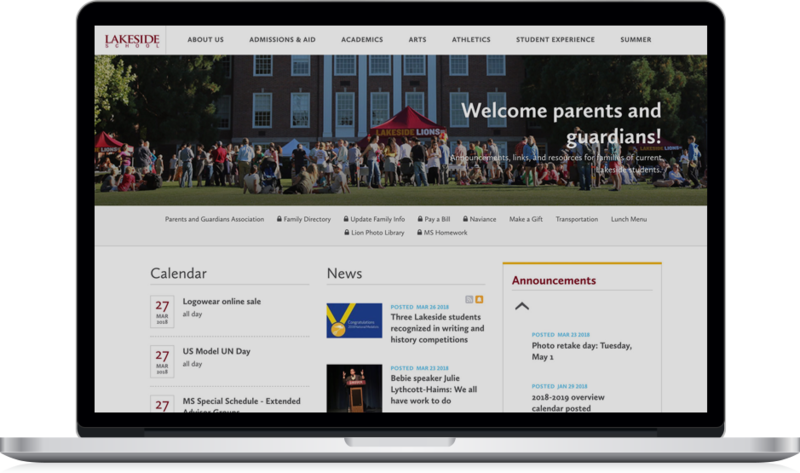 A Best-in-Class Marketing & Communications Platform, Built Exclusively for Schools & Districts. When it comes to content management, we want to empower school professionals to quickly make changes, add pictures, leverage social media, all without thinking. Yet, our platform also has the tools for experienced web designers to go beyond basic editing and build compelling layouts and rich user experiences quickly and efficiently. When you add beautiful emails to the mix along with data integration to help personalize the content and streamline information flow, you have a solution for success. Build leads. Engage them. Enroll them. When you combine our staff expertise and consulting services with the broad suite of tools in our Platform, you will be armed with everything you need to tackle the ever-evolving and demanding challenges you face when it comes to marketing and communications. From our inbound marketing tools to manage your engagement funnel, to simplified content management for news, athletics, calendars, to sophisticated email campaign management, to embedded SEO functionality — you will be ready to (rock and) roll. Recruit, Retain and Engage Your Families Like Never Before. 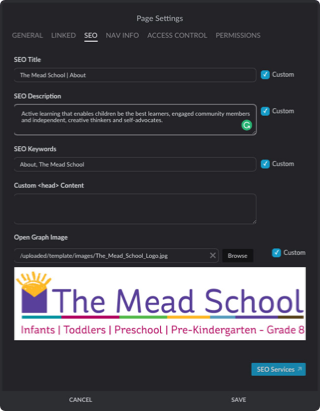 From the moment a prospective family searches for "best schools near me" to the moment they graduate, and everyday in between, Finalsite's suite of inbound marketing tools and services empower your school to increase inquiries, enrolled students, and donations — with less time and effort. Build automated email campaigns that improve results and save your admissions, marketing and development teams happy. Simplify and Personalize the Online Payment Experience. Handle all your online payment and giving needs with an intuitive, award-winning and mobile-friendly platform. Powered by BlueSnap, a robust online payment platform that simplifies the online payment process for your families around the world, families pay when, where, and how they want with Finalsite Payments. With more than 110 accepted payment methods and 100 supported currencies, you no longer have to deal with the frustration of managing numerous gateways, systems, fees, and more. Finalsite Payments provides a personalized payment experience with less hassle for your community and website administrators. Save Time and Personalize Communications. Finalsite works with more than 30 (and counting!) frequently used single sign-on partners, student information systems, and payment gateways. Website pages securely hosted every day. For calendars, blogs, news, social media marketing, and so much more. With systems like Blackbaud, Powerschool, Ravenna, Veracross and many more. Credit Card Transactions authorized by the Payments Module. "We were impressed by the functionality, visual and aesthetic design with Posts. It simply works and made sense for what we were hoping to accomplish." "Finalsite Feeds provides me with a platform to engage my audiences with authentic content they enjoy." Get an inside look at Finalsite's suite of software. One call. No obligation. Let's find out if we're a good fit! Not sure where to begin? Explore our library of online resources about our software including datasheets, on-demand webinars, and best practice guides.